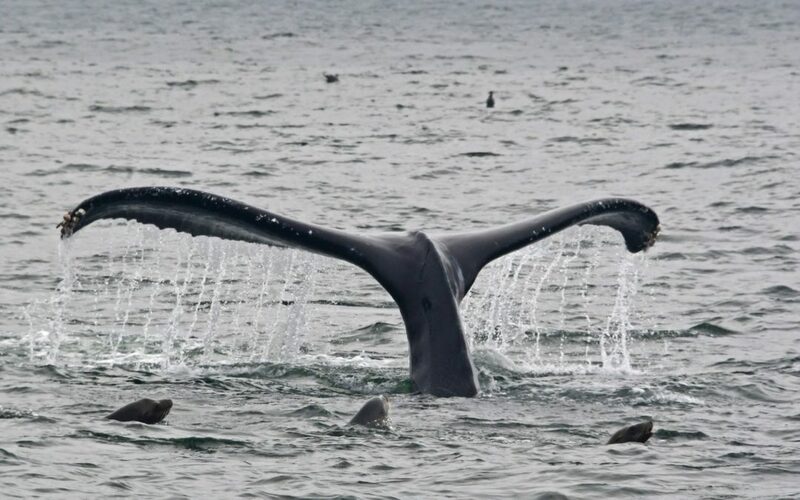 SNIP: The Trump administration has authorized five companies to “incidentally, but not intentionally, harass marine mammals” by using seismic air guns to search for oil and gas in the Atlantic Ocean. There’s growing evidence that these sounds may seriously affect animals swimming well outside the immediate danger zone. The sounds could also impact how animals communicate by drowning out their sounds to each other. It’s not just marine mammals impacted – other research suggests that the sounds could harm smaller creatures important to the ecosystem, such as plankton. The American Petroleum Institute, an oil and gas trade association, praised the decision. It said in a statement that the surveys must happen so the companies “can make the discoveries of resources that our economy will need for decades to come,” and added that it was hopeful this could lead to a full offshore leasing plan in the Atlantic Outer Continental Shelf.